Americans spend more than 20 billion dollars on weight loss annually2. Many try to lose weight on their own with little success. Dieters typically make four or five attempts per year. A large percentage of dieter’s expenses goes towards supplements. It is estimated that 50% of Americans take multivitamins and 1 in 5 adults take some type of herbal supplement3. However, when patients are left to find products on their own they are often not getting what they need. This is just one of the many reasons why it is important for patients to use physician-recommended, therapeutically dosed products, such as those manufactured by Legere Pharmaceuticals. In-office pharmaceutical dispensing improves the quality and therefore the cost effectiveness of losing weight by assuring that patients are getting the highest quality ingredients. 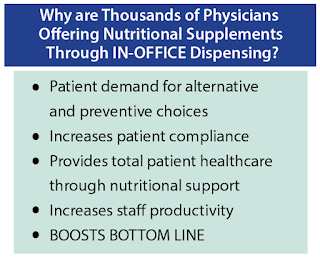 Both the medical professional and the patient benefit from in-office pharmaceutical dispensing solutions. 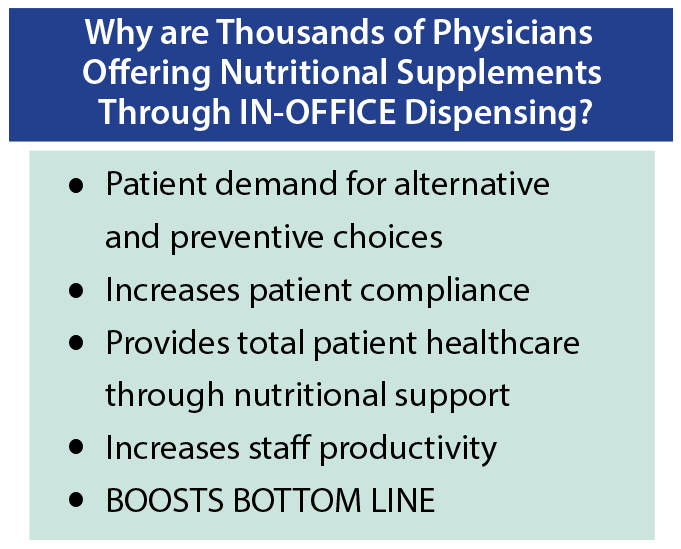 Dispensing in-office creates an additional revenue stream for the physician and saves the patient a trip to their local vitamin shop.